Panel glide blinds are one of the most recent styles to be developed. They are really interesting, with a sleek modern look, and they are especially useful where you have sliding doors installed. 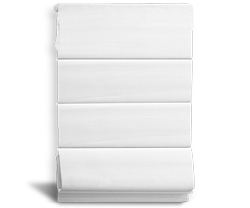 Come into Sheerview Window Furnishings to get the best deals on panel glide blinds. We have a wonderful selection to choose from, and you can even select custom options. Our prices are super low every day, and the quality is top notch. Those are all good reasons to get your panel glide blinds from Sheerview Window Furnishings. Now let’s tell you a bit more about what panel glide blinds are, how they work, and why you might want to consider installing them in your home or office. 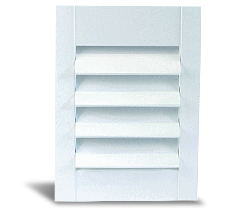 As the name implies, panel glide blinds are composed of flat panels that have a gliding action (this refers to an action where the panel moves almost silently along a horizontal track rail). As each panel is retracted, it effortlessly stacks on top of the panel next to it, until eventually all of the panels are retracted, where they’ll have the appearance of one very thick panel. 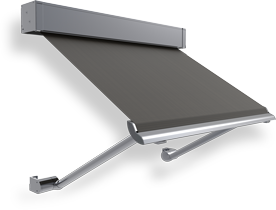 The usual mechanism for operating panel glide blinds is a acrylic “wand” that connects to the first panel of the series. This is then drawn across in the direction of retraction in order to retract the blinds, and in the opposite direction to unretract them. The operation is very quick, clean, and quiet. Most people will find they have to expend almost no effort at all in opening and closing the blinds. They are different from most other types of blinds because they slide across instead of up. The other type of blind with a horizontal action is the vertical blind, which works in a very similar way to the old Venetian blinds, except the blade panels are mounted vertically and move horizontally, whereas with Venetian blinds they would be mounted horizontally and would move vertically. The advantage of panel glide blinds compared to vertical blinds is they’re easier to operate when used across a space where there’s a sliding door behind, and they’re easier to clean. 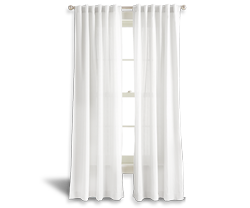 The lone disadvantage compared to vertical blinds is they can’t be adjusted to allow light to be redirected. With panel glide blinds, light is either blocked or permitted, there is no middle ground. Both panel glide blinds and vertical blinds do look fantastic when they’re installed, and it’s worth considering both types and choosing the one that feels right for you. Gold Coast homes will probably benefit more from using panel glide blinds due to the intense climate during the hot season, and because there are so many homes that have sliding glass doors. Panel glide blinds are a low maintenance option. The large flat panels can simply be wiped down with a damp cloth, steam cleaned with a steaming wand, or gently brushed clean with a soft brush. It literally just takes a minute to clean them, which is amazing in comparison to all the other blind types which require much more time and effort. When you are choosing your panel glide blinds, you’ll need to think about the options such as width (Sheerview can come to your place and measure for you! ), the number of panels, panel material, and colour. You can also opt for an “extended track” which allows the panels to be gathered completely to the side so the entire width of glass can be exposed.